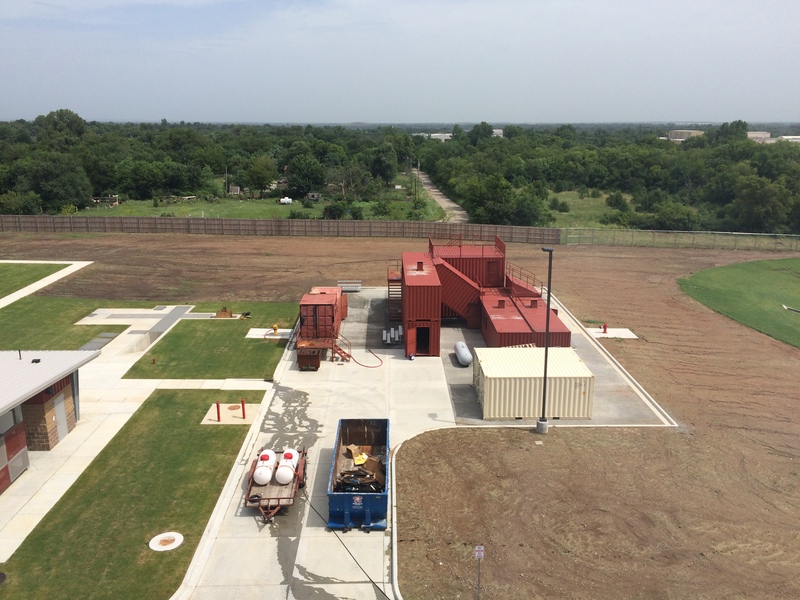 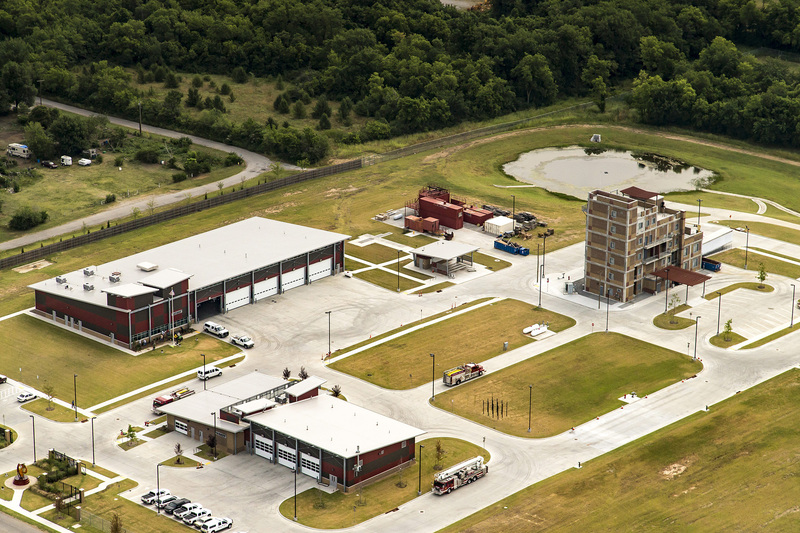 The Tulsa Fire Safety Training Center is a state of the art facility and is the first of its kind in the state of Oklahoma. 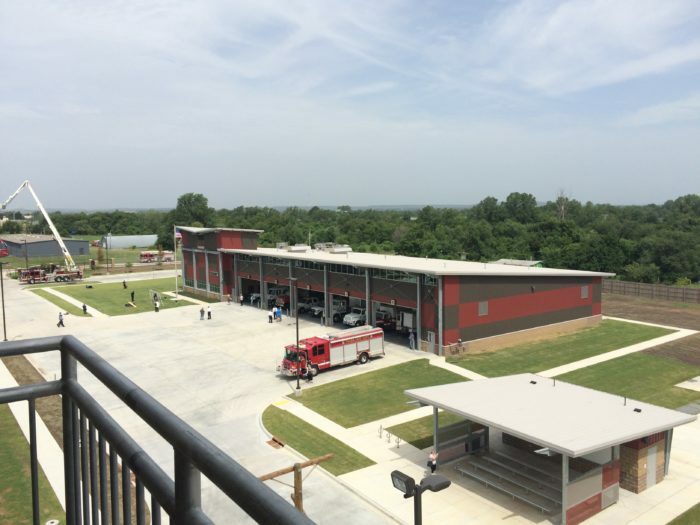 A joint project of the City of Tulsa, Tulsa Community College, and the Tulsa Fire Department, the center was built for live-fire and hands-on training with a focus on safety and environmental friendliness, while ensuring valued training for both new and experienced emergency responders. 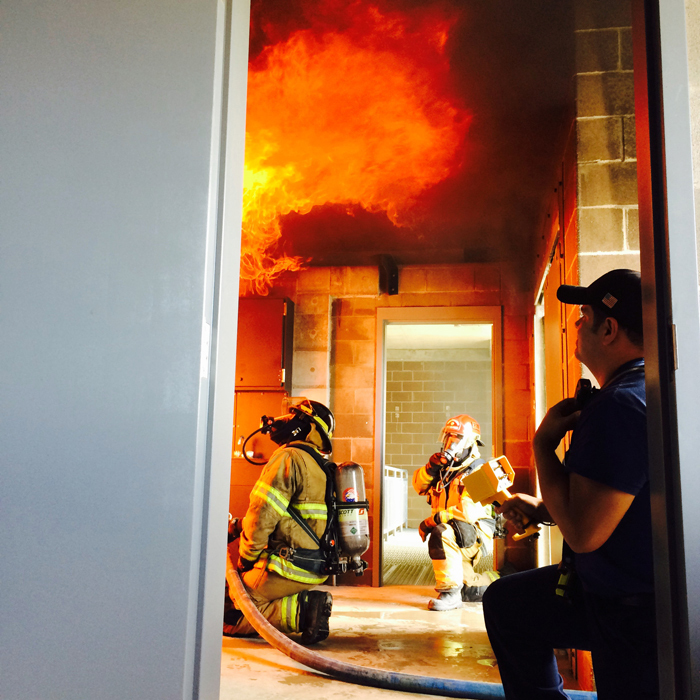 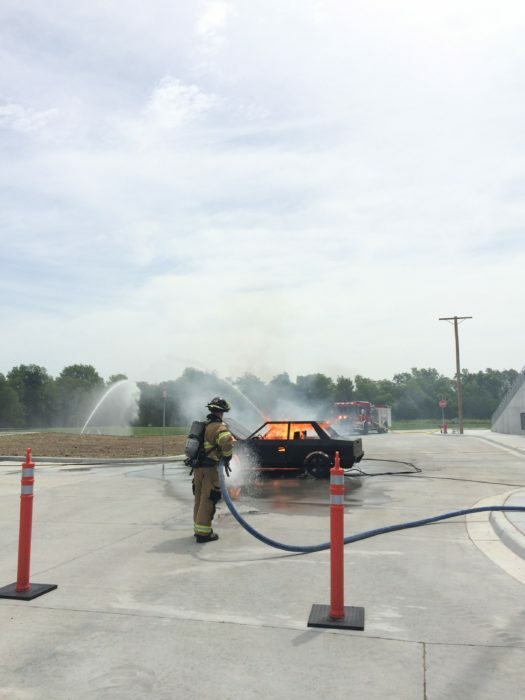 The facility is designed to teach initial response through operational recovery and has the ability to provide all required training and testing props without the need to travel to a different city or venue to satisfy the needs of the credentialing entity for Firefighter I and Firefighter II. The training center is intended to be a regional facility with the desire to expand partnerships with other agencies, educational institutions, affiliated industries and private organizations. 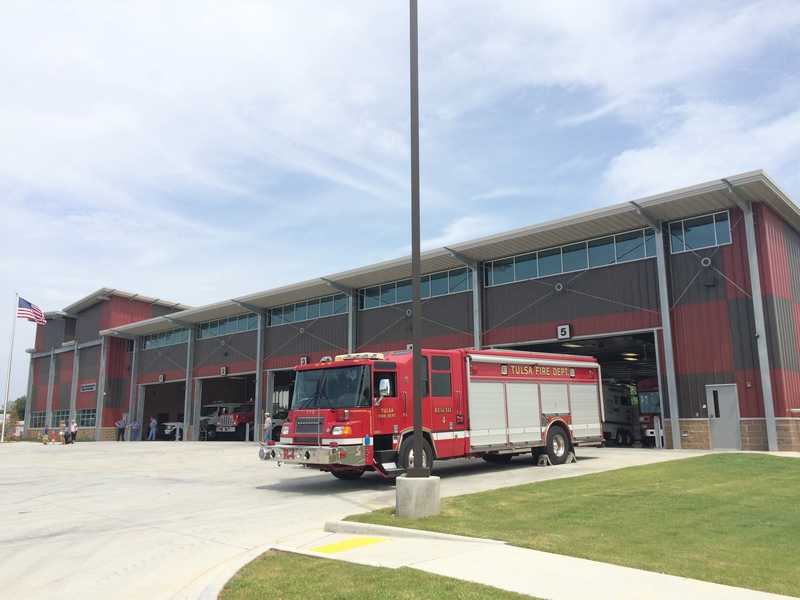 Wallace Engineering provided structural and civil engineering services for the new fire training center. 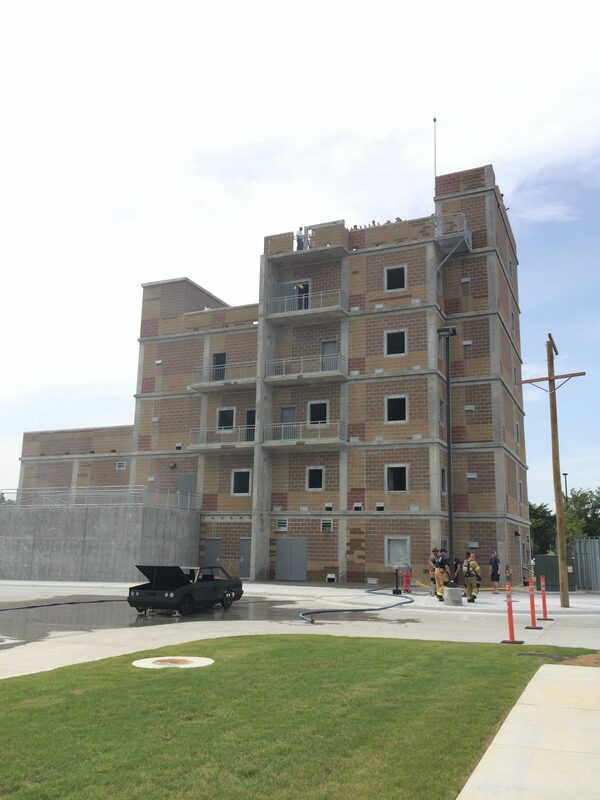 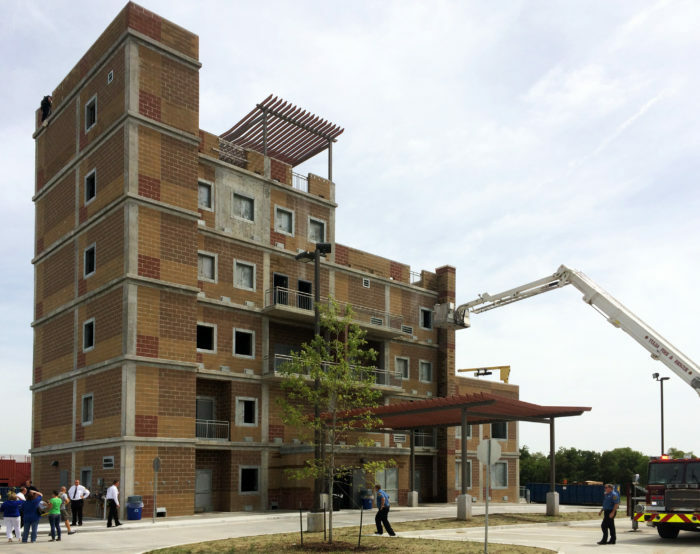 Phase I of the new fire training center included a multi-story drill tower to allow training in everything from industrial to high-rise settings, and a new mock fire station to house the trucks used for training, allowing a realistic look at how firefighters live. The master plan also includes a classroom building and installation of training props for aircraft and swift water rescue.